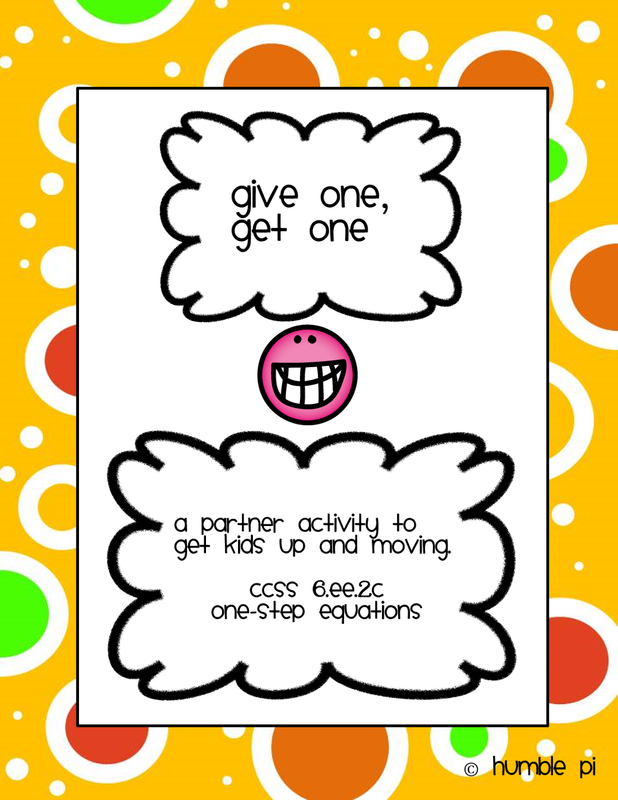 A fun activity to get kids up and moving while they practice solving 1-Step Equations. There are 32 cards, but you may use only the amount you need. Cards are provided in both color and black-and-white. Recording sheet and answer key included. Aligned to CCSS 6.EE.2c, but great for 7th and 8th grade review, too.